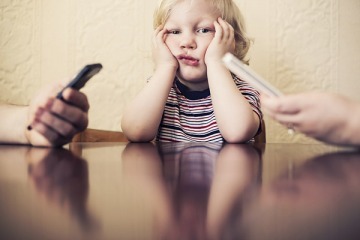 If there is one telling marker of our current generation of parenting, it is the prevailing appearance of a phone on our person, while we are spending time with our children. Before I was a parent, I didn’t think anything of parents who had their smart phones at playgrounds or restaurants and yet, after I became a mama, now 7 years ago, this is all I noticed. No matter what country I traveled to, whether I was at a beach in Sydney, or in Los Angeles or even at the garden by my parent’s apartment building in Mumbai, India; every mother or father and nanny I saw with a child; had a phone with them. 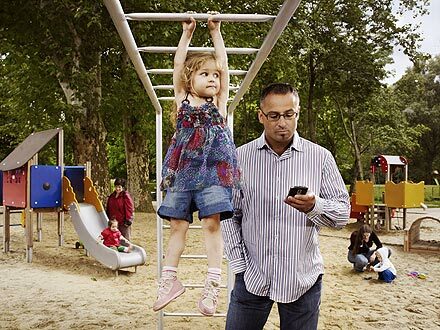 Inevitably, in between pushing their child onto a swing, or between watching them whoosh down a slide, their eyes and their fingers returned to their phones. I succumbed to this as well. Often, when we were traveling, when I was alone at a playground with my son, not with a friend. It was an easy distraction that took me away from whatever was going on here – escapism from the reality of being a new mother. I missed friends, I missed the preciseness of my pre-baby life and the easy ability to reply to messages, emails and feel as though I was getting something done. The easy access to facebook or instagram suddenly helped me stay in the loop, even while I was somewhere far away, and I felt somehow connected, even when I really wasn’t. Yet, it soon became apparent to me, that my young baby was growing up and he would soon be able to notice when I was “checked out” from being with him. I was aware of this and yet I continued to use my phone when I was with my then two year old. Until I finally stopped. It didn’t happen overnight, I worked at it. I allowed myself only five minutes each hour to use my phone if I was with my child, only for work, not for personal messages. I timed these phone interludes, using the timer on my iPhone. I put my phone on silent. I deleted all notifications from all apps on my phone. I cleaned up the apps, and I purchased a regular watch, so that I did not need to pull out my phone to look at the time. 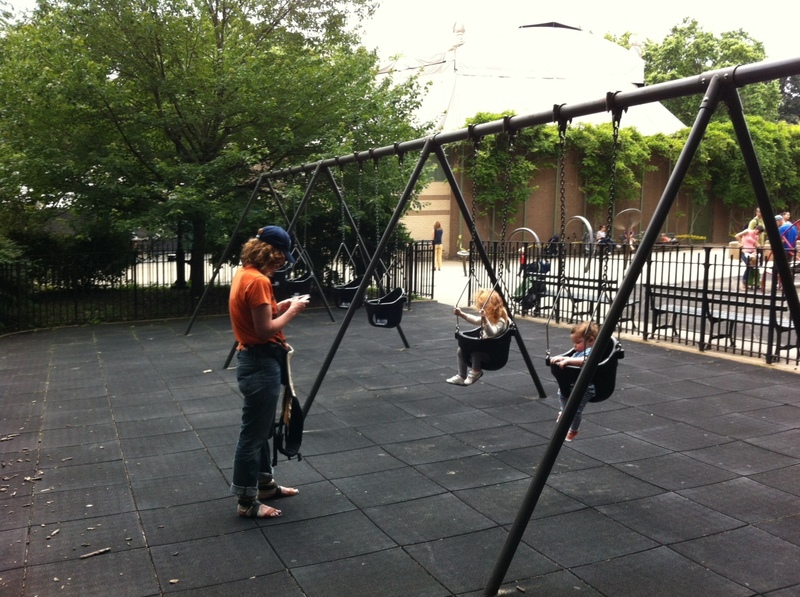 I organized playdates at parks and then left my phone deep in my purse. If it was out in my hands it was too easy to be sucked in. This is not a diatribe on how bad with are as parents with our distracting phones, as in this popular Tumblr meme. There is another reason I am writing this blog post. I know, and I believe we all know, the compelling pull of online media and how distracting and how sucking in it really is. And if adults, who supposedly have more self control and discipline than do children, get pulled into our phones and online media, how can we possibly expect our children to be able to shield themselves from the enveloping vortex of the online world today? How can they moderate their use of it, if we ourselves cannot. Interestingly, there is often a myth out there amongst parenting circles, that children will regulate their screen time usage, when given a free reign on the amount of screen usage they get. This article, which I saw just today after I had already begun writing this blog post cracks open that myth. 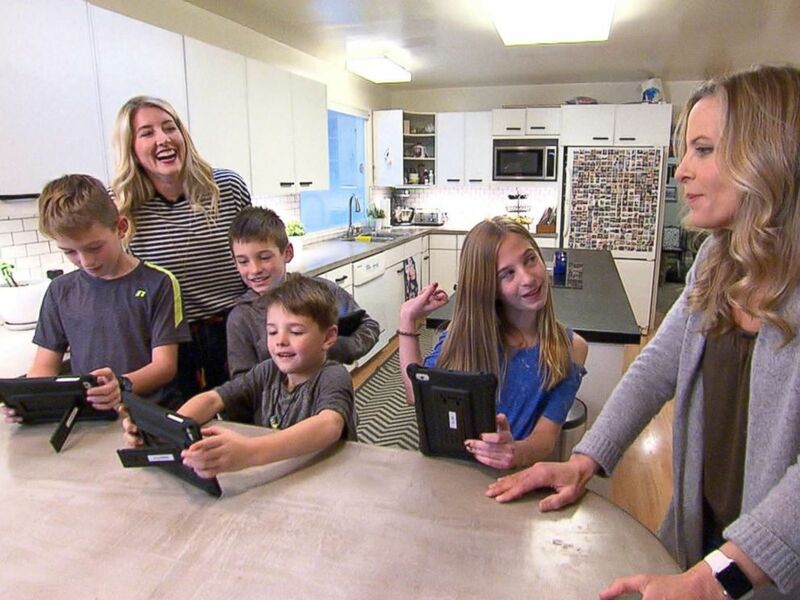 Written by ABC News’ tech correspondent, it describes an experiment a family in Menlo Park, California carried out, when they removed all limits on their children for screen time over a weekend. The results, well, are wild. Read more here. As someone interested in slow parenting, in this age of technology, especially because I try to live and use yoga and Ayurvedic principles in my life and my family’s life to help alleviate the stressors of living in our fast paced modern world, I began reading everything I could about the impact of media on family life, when my son was very young. One of the most engaging researchers I found on my journey was Sherry Turkle, professor of social psychology at the Massachusetts Institute of Technology, who has been exploring the effects of digital worlds on human behaviour for 30 years. In an interview on the podcast On Being; Dr. Turkle’s words rang true for me. She noted “our current infatuation with the internet is sort of like a teenage crush.” In other words, it has not grown up, and we have not matured our own relationship with it. We do not know the effects of it on us long term, we do not know how to moderate our behavior with it as yet, and as a result, we are living in this strange way netherworld of not being wholly in our lives as we are so attracted to these online worlds. 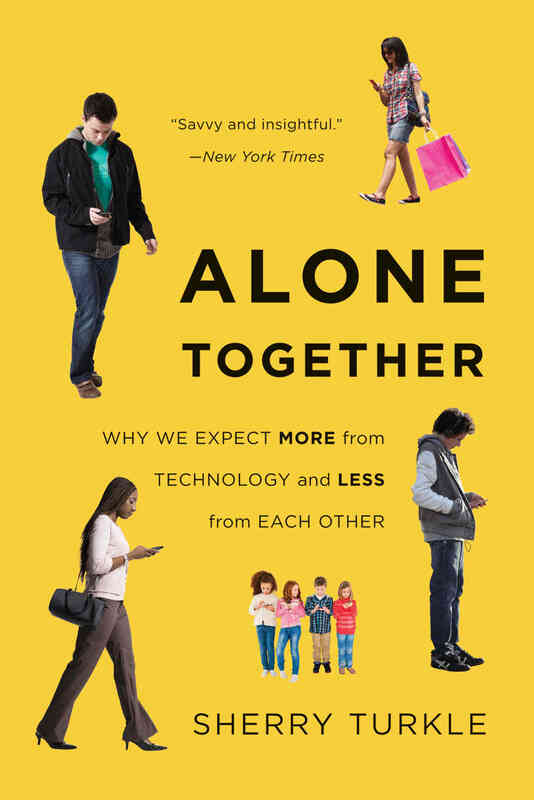 She also coined the now famous phrase “alone together” describing the ironic phenomenon of being physically beside each another, yet worlds away in our online realms. In Dr. Turkle’s recent book, which is called: Reclaiming Conversation: The Power of Talk in the Digital Age, she focused in particular on the impact our behaviors have on family life, on education, on relationships and on the possibilities of solitude. She measured these effects in a breakdown of empathy between children, in the consequences of increasingly distracted family interaction and a growing need for constant stimulus. Her conclusion is a simple one: we need to talk more to each other. We are wired for this. It’s in our DNA. Our family is in no way perfect. In fact, I have had many an argument with my husband about my setting very strict limits around our usage of media and screens in our house. In some ways, with his influence, I have learned how to choose my battles. But we have managed to coalesce around certain rules and rituals that we have made a part of our family life, no matter where home happens to currently be. We are in no way not using technology in our lives, but we are having an honest, open conversation about it, especially with our 7 year old and trying to demonstrate as much as possible, why it is essential to be aware of the impact of online media on our lives. Here are 8 ways in which we create boundaries that allow our family to thrive in a no-media space. 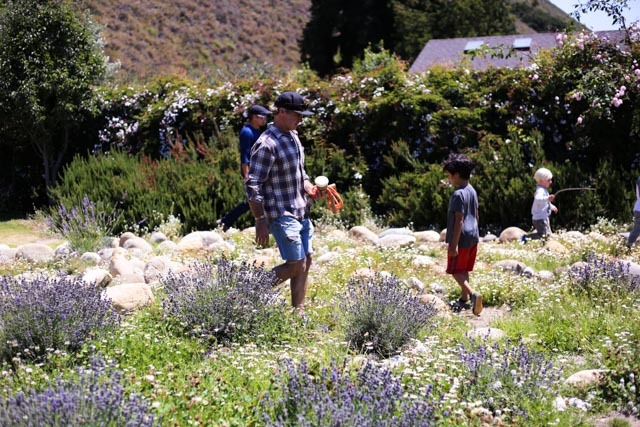 Create sacred space: This is your NO DEVICE ZONE: Turkle writes about this a lot. For our family, it means, we do not allow phones or tablets at the dining table, in bed, in the car and during the hour before bedtime. We do not answer any calls during dinner. I can’t stress how important I feel this is. Our family is often scattered across the world and in the past I would take a FaceTime call from my parents who wanted to see their grandson at dinner time, but it was so distracting, we stopped allowing it. We also do not watch anything in the car, which has forced us to get creative and thus connected over long road trips. Gather around the dinner table. Study after study has shown that children who eat dinner with their families benefit with better grades at school etc. But I think the big thing here is socialization and again the art of conversation that our children pick up when they spend time with us at the table. 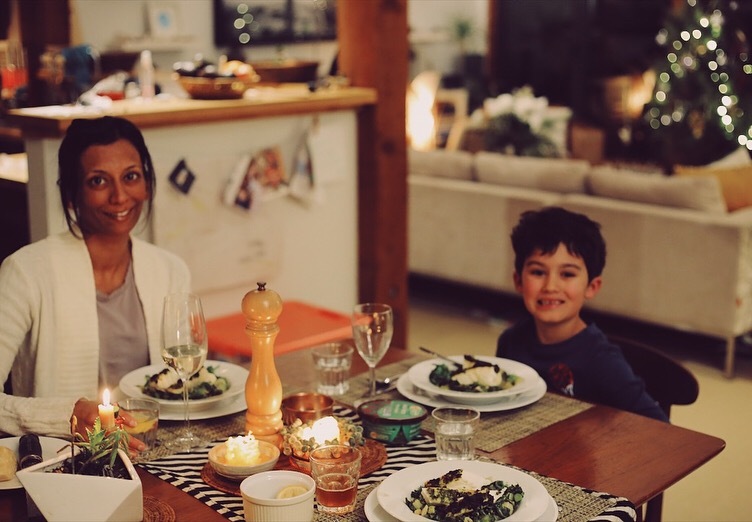 In Simplicity Parenting, which is one of my go to parenting books, Kim John Payne says, the dinner table is where children get to test ideas out, and realize that life can also get uncomfortable at times, depending on the type of day members in a family have had. In other words, unlike the make-believe, online world, life offline is quite often messy and imperfect and in being in such situations, children learn how to use language and empathy to be a part of a conversation. At our dinner table, we light a candle before we eat. We say a simple grace and we pause before we eat. The dinner table is our sacred space. Make something everyday: Cultivate creativity. At our home, we press flowers, make cards and draw. I have tins of watercolor brushes close to the dining/ art / office table. We journal. I always travel with crayons and paper and color pencils. Sometimes, the 7 year old resists, but usually if I begin painting or drawing, he joins in. Occasionally we get focused on a particular craft, but usually as long as we are in a happy state of creativity, we tune in. Give each other Work space: Both my husband and I often work from home. Which means that our son sees us on our computers. We are honest with him. Just yesterday, after a swim in the pool at our villa here in Bali, where we are spending a few months living and working; my husband told our son, “You know if I had a job like my father did, I would not be able to see you at all during the day. 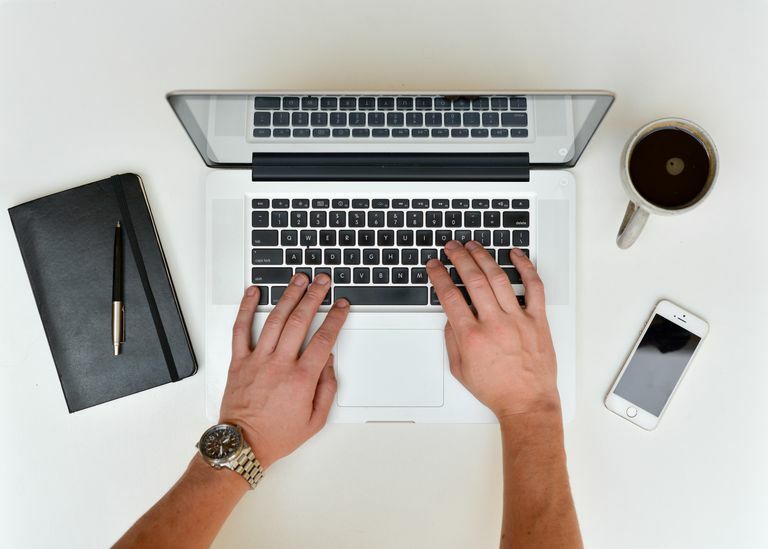 Instead, here, because of technology and the fact that my laptop is my mobile office, I can play with you and now go work (for a focused hour).” We also chatted with him about the irony of my using a blog post to talk about technology limits. I told him that as a writer, this is a way in which I can get my words out to as many people as possible and for that I am grateful. But, when it’s time to stop working, we put the laptops away and move back into the offline world, fully, with presence. Set Limits on Screen Time: this goes for ourselves as well as our children. For us it’s the earliest productivity tip. Do not check email all the time. Check it only for the first 5 minutes of every hour, or the last. Then stop. If you love instagram, set a timer so you don’t disappear and emerge 2 hours later, eyes glazed and needing to pee! For our son, we let him to watch his favorite cartoons on the weekend only. It is a treat and yes, he looks forward to it. He is allowed 30 minutes each time. On occasion, if we watch something like a nature documentary or a movie, we will increase that to 1 hour. This is it. The max. I realize this is strict and may not work for everyone, but this is what we do. I have noticed that sometimes it is hard to get him off my laptop when the time is up (we don’t own a TV), but in a few moments he is immersed in something else. I also like to ask him to share something of what he saw and we talk about it as a family, so he can process things and not keep any feelings bottled up inside. FYI, on airplanes, we relax these rules! how it is in our world, which may be different from a school friend’s home etc. Know that at the end of the day, our children want our presence and they crave connection with us, which is way more important than anything we can buy them, or show them online. Make snuggle dates, make bed time a sweet sharing ritual and spend as much time with your children as you can – it whizzes by fast, every parent knows this – even though time can seem to stand still in the interim. Schedule breaks with your partner so you get a “real” break from mothering or fathering, but keep telling yourself that the social media vortex is not a break, even though in the interim it may feel like it. Last night my gift to myself, was a solo walk after dinner, on most days it is a meditation or a yoga practice, sometimes it’s going out dancing with girlfriends. I seek things that help me to settle back into myself with more ease. Find something that offers you a break. Parenting is not easy, especially today. Thank you for reading, this very long blog post. I hope that it offers you both food for thought and offers you some view points you may not have considered. Please do leave your comments and thoughts below! Amazing article beautifully written thank you for sharing. you are so welcome!!! an ongoing conversation for sure! I really enjoyed this post; thanks for sharing.